My son started going to Hayden PT in April and then again July and still going. He works with Mike but has met everyone and it’s a great place! 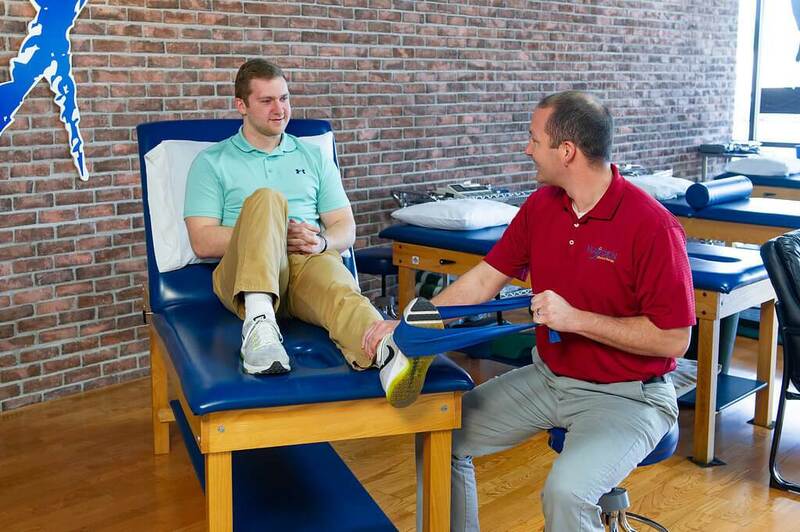 He is making great progress and we couldn’t do it without Hayden Physical Therapy. Nobody will care for you better than the awesome people at Hayden! You can trust you are in the best hands. Their staff is always caring and friendly! This is the best physical therapy office around! This is the third time over a period of years that I have done therapy at Hayden. Always with Mike. My sessions have always been beneficial and enjoyable. Very professional therapists and staff, as well as, friendly and kind. I highly recommend Hayden Physical Therapy. Friendly people. Really helpful. I would recommend Hayden to anyone. The best place to go for Physical therapy…been there several times .. would not want to go anywhere else..
A fantastic group they have kept me on a steady rate of improvement after my stroke, I have been very impressed with the way treat all of their patients. Great place for getting moving again and back on your feet! Excellent, professional, and caring folks! They helped me recover after shoulder surgery, lower back injury, and upper back/neck surgery. Amazed how quickly they got me back on track each time. Very grateful for the folks at Hayden Physical Therapy! Hayden Physical Therapy has played an important role in my life and in the last 4 years, I have used their services twice. Once after an open-heart surgery and the other after a severe fall in which I experienced multiple injuries. Their therapist worked with me both times and they helped me to quickly recover and regain my strength. They also worked in reducing my pain and helped to bring me back into living a normal lifestyle. They were understanding how I felt and worked hard to help me quickly recover. I am very happy with them and that is why I returned the second time to use their services. Their staff is professional, well trained and knowledgeable. I feel that they care about their patients. I trusted that they would do the right things to help me. I would recommend them to anyone needing professional physical therapy.